Whether your workforce is growing rapidly or you are thinking of opening a new office or another warehouse, your communications network must be flexible, scalable and able to evolve with your changing needs. It should optimise your spending on a daily basis to help you generate immediate savings. The network should help you become more agile so you can quickly and easily adapt to changes in your market. For resellers Nuvem provides an entry in the UC cloud hosted market that is built on a product by a renowned global UC provider. 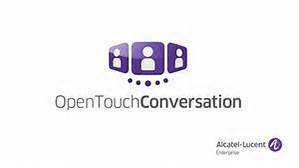 The Alcatel-Lucent Enterprise OpenTouch Communications platform combined with the technology and expertise of Nuvola Distribution will deliver satisfied customers who in turn generate repeat business, that will dramatically raise your level of service. Ensure that you handle incoming enquiries professionally with an efficient greeting system that welcomes clients by name and rapidly refers them to the right salesperson. Deploy a phone system that allows you to quickly set up conference calls and reach your technicians, sales representatives, consultants and delivery staff anywhere, at any time. We partner with you to put all the pieces together and simplify your communications. We can help you interconnect your people, their knowledge and your communications network so you can focus on growing your business. Delivers business telephony features throughout the workplace, contributing to improved end-user responsiveness and productivity. Interchangeable battery units to support the most demanding enterprise usage requirements. Enhanced durability (shock, vibration, liquid and dust resistance). 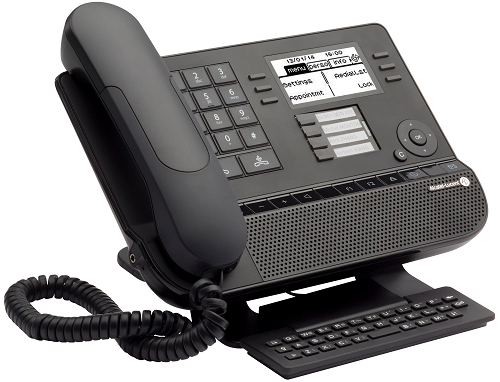 Support for both existing ALE 300/600 DECT handsets and 310/610 WLAN handsets on existing infrastructures. Wi-Fi Protected Access (WPA and WPA2) and Wireless Encryption Protocol (WEP). Enhanced design, soft case painting for OmniTouch 8128. Increased autonomy: Up to 15 hours talk time. Customers profit from the converged and powerful services provided by the ALE OmniPCX Office Rich Communication Edition (RCE).